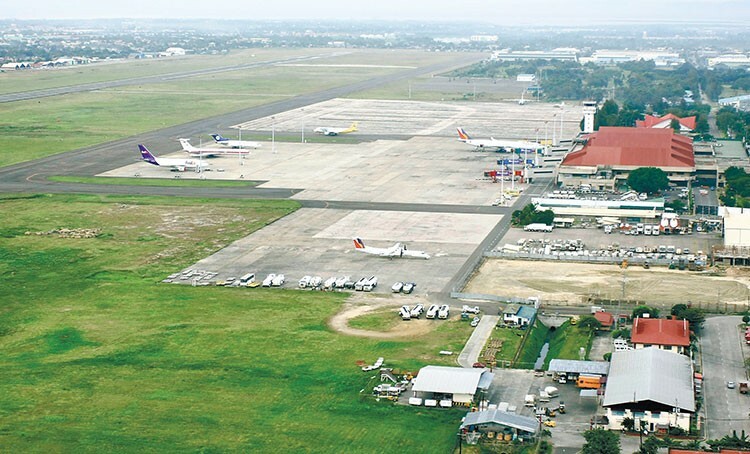 Bzzzzz: Is public hearing needed for bill renaming Mactan Cebu airport? SCROLLING down: Why the “rush” on House Bill #8170: President Duterte’s announced wish to rename the airport of Lapu-Lapu International Airport. And no opposition has been raised except that by PLLO chief Ade Sitoy who did not ask for a public hearing... Sitoy’s interest in “Mactan”: it includes his hometown Cordova, of which he was mayor for several years. In a speech at the opening an automobile firm in Pasig City, President Duterte told business executives to slap corrupt public officials who “give them trouble” on business transaction with the government. Duterte requires that the offended business person seek an audience with him in Malacañang and confront the official. If it is shown that the said official tried to extort money, the president would allow the complainant to slap the official a dozen times right in the Duterte’s presence. One cannot be sure if the president was serious or joking again. It’s unusual and cruel punishment, one that’s not in the books. Maybe, wait for the explanation from his spokesman what was really meant. The argument that there has been no public hearing is being used by those opposing House Bill #8170, which seeks to rename Mactan-Cebu International Airport (MCIA) into Lapu-Lapu-Cebu International Airport (LCIA). The House committee on transportation just approved the bill, paving the way for its approval by the House en banc on third and final reading. Except for the opposition of Adelino Sitoy, head of the Presidential Legislative Liaison Office, there has been no other voice raised against the bill. Even Sitoy did not cite the absence of public hearing. He said he’d express his sentiment to the House and the Senate and, if that would fail to block the bill, he’d ask the president to reject it. A just concluded SunStar Online survey drew a convincing majority (42.84 percent, 383) for the retention of the present name while only 15.1 percent or 135 favored Lapu-Lapu International Airport and 24.27 percent or 217 voted for Lapu-Lapu Cebu International Airport. It was President Duterte who in an August 27 speech cited a supposed recommendation of the National Historical Commission of the Philippines for the name “Mactan” to be substituted with “Lapu-Lapu” as airport name. Many lawmakers assumed that what Duterte would wish, Duterte would get. Thus, the “rush” to keep the name “Cebu.” For two valid reasons, del Mar said, for historical and for location purposes. Cebu as tourism destination is a brand known world-wide, largely because of its place in Philippine history. Would a public hearing yield results that contradict the president’s opinion about Lapu-Lapu as a “national hero”? Secretary Ade Sitoy’s interest in keeping “Mactan” is that the name comprises the entire island most of which, except Cordova town, are integral parts of Lapu-Lapu City. To Ade, removing “Mactan” would exclude Cordova, his hometown of which he was a multi-term mayor, from the island and islets that comprise Lapu-Lapu. Cordova was in effect expelled when the name Lapu-Lapu was adopted for the city. Now, it couldn’t even share in the airport’s name too. Sitoy’s argument though that planes flying in and out of MCIAA pass through Cordova sky is a bit of a stretch. Given that line, a few other places nearby over which the planes also pass may demand right to include their names too.